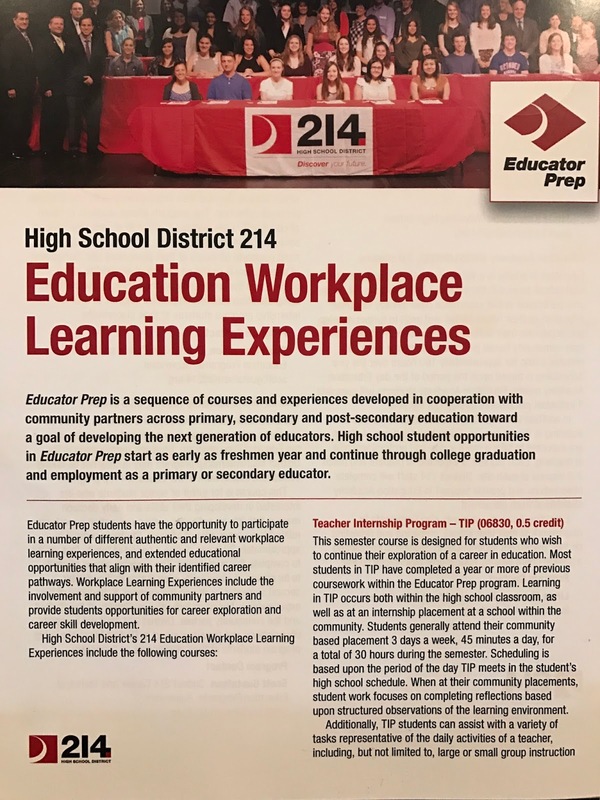 In the spring of 2016, District 214 kicked off the Educator Prep Program giving students yet another opportunity to gain workplace experience before they graduate high school. This unique program offers a sequence of courses, in collaboration with community partners in education, with the goal of developing future educators. I recently enjoyed the opportunity to work with the students in Kim Sander's Teacher Internship Program at Elk Grove High School, to help them get started, or expand, their professional social media accounts to showcase their experiences in this program and build their professional digital presence and resumes. 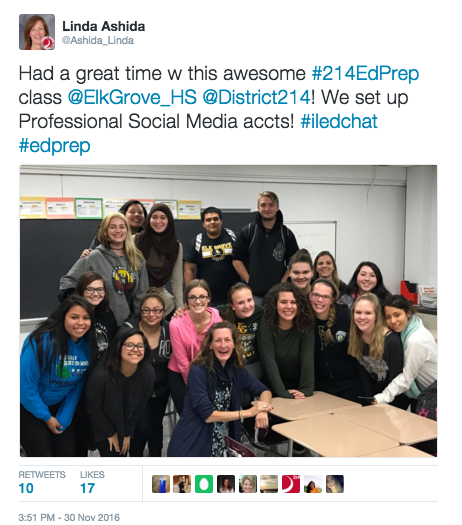 By engaging in professional social media accounts, these students can multiply their opportunities to build their professional learning networks with other educators and professional organizations, and expand opportunities to learn, lead, and showcase their experiences with the community in D214 and beyond. Via social media these students can build a digital portfolio and resume which can lead to future connections and opportunities they might not even imagine. 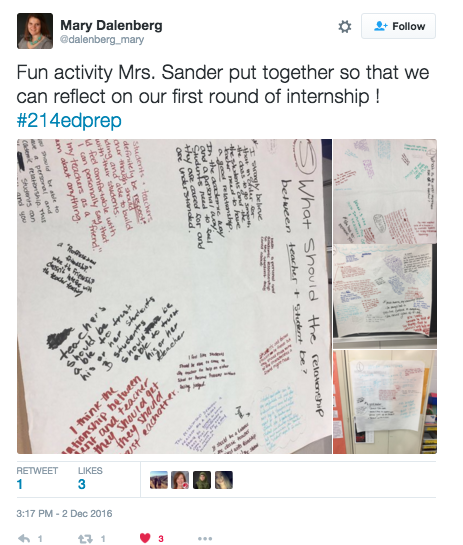 Using the hashtag #214EdPrep they can connect with fellow students in the program to share examples of their work and learn from each other. 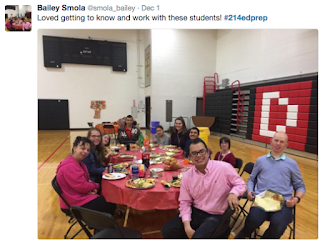 They can build community with staff, parents and community members who can easily search the hashtag to learn about the program and their experiences. 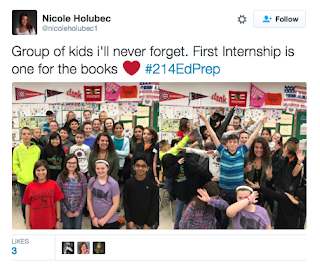 The students can also follow other educational hashtags and participate in twitter chats that correspond to their specific educational or content interests. At year's end, their social media account will also serve as a portfolio of their work. This can be especially important since more and more universities and employers now do online searches of applicants. 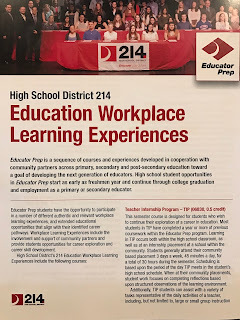 So, these EdPrep students, who will also post other academic and extracurricular experiences in addition to their EdPrep content, will have a positive digital presence that will impress and help them stand out in the crowd. Before we got started with setting up our accounts, we discussed key considerations of digital citizenship and the importance of maintaining a positive and professional social media presence. After discussing the "how to" and the options for social media accounts, most students chose to use Twitter or Instagram. They worked on their professional photo and profile and they prepared to do their first posts. Even with just their first few posts you can get a good idea of the experiences they enjoyed during the first semester. 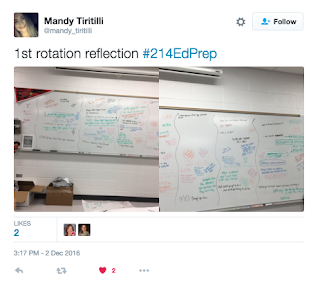 Stay tuned and follow #214EdPrep for more posts to come from these students. 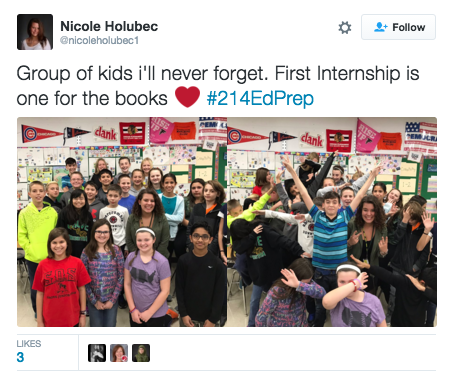 They've already inspired me, and they are sure to inspire you! 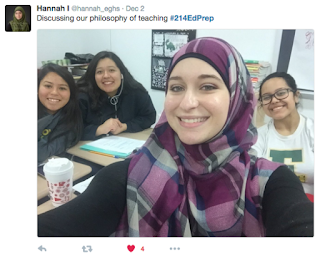 Consider how you could encourage these future educators by commenting on their posts, or sharing your own resources and educational wisdom with them. I am looking forward to my continued collaboration with the group. 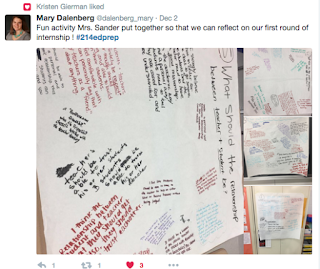 As the students progress with Twitter and Instagram, some may expand and explore blogging for more in-depth reflection and sharing. Stay tuned! Educational sector developed source of sensational realization that regulates outstanding balance in career management which makes you able to take wise decisions. There is custom college essays review as highlight the responsive behavior these are the some outrageous imagination to relate the situations.